Here we are at this stage of the graph! Population pressure and modernisation is rapidly depleting many, if not most, of the resources we use to sustain civilisation. 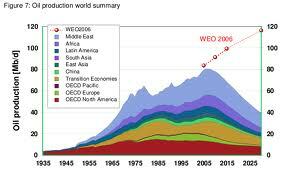 Fresh water, arable land, phosphorus for fertilizer, seafood stocks, lithium, gold, rare earth metals, rainforest products and other resources are close to, or already past, peak production. When the easiest and cheapest resource stocks are gone, the rest become more expensive and generally come at a higher environmental cost. 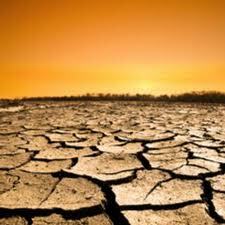 Climate Change: Climate change is nonnegotiable and if we get it wrong this time there is no second chance. The critical threshold of the ratio of greenhouse gases in the atmosphere has been reached, and only drastic measure to reduce this ratio will avert a perilous future. Increasing high levels of carbon dioxide and other gases in the atmosphere have trapped more of the sun’s energy over the past century and have warmed the earth’s oceans, landmasses and atmosphere. The warmer atmosphere can hold more moisture and has more energy to drive mass air movements and power more frequent and violent tornados, hurricanes, floods, droughts, snowstorms, heat waves, dangerous hail and lightning storms, and record rainfalls. The International Energy Agency warns (November 2011) we are headed towards 3.5 degrees global warning and delaying action is false economy. Global energy-related emissions of carbon dioxide – the principle greenhouse gas – jumped by 5.3% in 2010 to a record 30.4 gigatonnes. They say "Rising fossil fuel use will lead to irreversible and potentially catastrophic climate change." Increasing crop failures like those recently in Russia due to extreme heat and drought; in Pakistan due to extreme flooding; and in Australia due to extreme heat, drought, and floods. Increasing death, destruction and economic devastation as more powerful tornadoes, floods and hurricanes afflict larger areas of the planet. 3. More forest fires and wild fires as droughts become longer and more severe. 4. 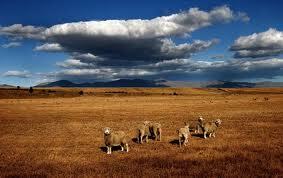 Greater damage from pathogens and insects as naturally balanced ecosystems begin to break down. 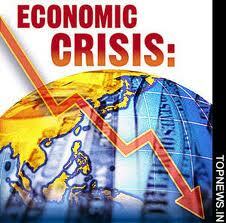 Economic Turmoil The global financial system is currently in a state of terminal breakdown. It's been on life support for the better part of half a decade, and the costs of keeping it this way are spiralling out of control. While most agree that the global economy nearly collapsed in the spring of 2008, few acknowledge that nothing has fundamentally changed to prevent this from happening again. Recent bailouts of fragile European economies like Greece, Ireland and Portugal (like the bailouts of American financial institutions) increased the debt that first caused the defaults and likely set the stage for more economic chaos not far down the road. The costs of the bailouts is too high for those who lend and too high for those who borrow. The political turmoil in Greece and Italy might be showing what is coming for New Zealand if we go down the same path. We can expect: · High inflation or deflation, both harmful · Scarce capital or credit for job creation or infrastructure projects · Dramatic cuts in government services as debt liabilities grow and tax revenue shrinks. · Growing ranks of unemployed as families sink into poverty and unemployment · Possible or even inevitable global economic collapse. Also, the bewildering array of derivatives – exotic financial instruments that create money but not real wealth, – are now monetarily valued to far exceed the value of all real goods and services on the planet. As the hard physical limits to growth begin to appear in the forms noted above, the entire growth-dependent financial system is headed for a very hard landing. 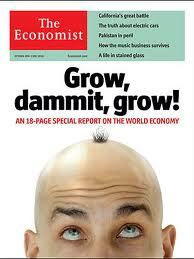 The remedies advocated by economists are at best suspect.. The New York Times Magazine headlined “How Did Economists Get It So Wrong?” while Business Week featured “Why Economics is Bankrupt” and “What Good Are Economists Anyway?” The Guardian talks of “Rescuing economics from its own crisis” and Atlantic Magazine headlines were “Will Economists Escape a Whipping?” “Why Economics Failed” and “Have economists gone mad?” The mechanistic approach to economics sees the rights of the individual as paramount and the sustainability problem as simply a matter of balancing competing economic, social and ecological considerations. On the other hand, a systems perspective suggests things are not quite this simple. Keynesian solutions, where the government pumps money into the system, will not solve our economic woes. As United States has recently discovered it only increases the debt and extends the suffering. The banks didn't lend out the money. Because of increased trade, technological innovation and our ability to exploit the cheap, abundant energy of fossil fuels, New Zealand has had a prolonged period of economic growth with more production, more food, more people and more income. But energy is a prerequisite for all economic activity and the cost of oil imports as a percentage of the value of our exports is rising. And with rising debt our credit rating has already been downgraded. At the core of many of our problems is our monetary and taxation system. 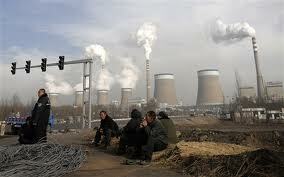 Any economic system must include an accurate accounting of its environmental and social effects. Our monetary and banking system runs on interest bearing debt. Without increasing debt it is hard to “grow the economy.” The worst thing that could have been done in 2008 was for the National Government to borrow money ($300m a week) from private banks at interest. It is only going to cause more debt, increasing a debt burden currently $102,000 for each man, woman and child. Since there is no magic solution that will turn back the clock to an era of abundant resources and easy growth, it is time for Plan B. It doesn’t take a genius to understand there is something very wrong at the heart of the global economic system. We have a parasitic investment banking class sucking at the heart of main street business and at ordinary people. The system’s dependence on exponential growth also causes environmental harm and unsustainable demand on natural resources. Any properly functioning economic system has as its purpose the provision of goods and services for a community. It is putting the cart before the horse if the money supply is allowed to govern production. Globalisation and the harshest form of capitalism have eroded the bonds of community, created vast gaps of wealth between the richest and the poorest, and impoverished the natural environment. In New Zealand twenty percent of our children live in homes of beneficiaries. Too many of our youth are unemployed and not being effectively educated or trained.. Maori suffer most from all this.